Fantastic! Super interesting and well-researched. I read it before a trip to Italy and loved that I understood Italian food culture before even arriving and noticing things she'd mentioned in the book. Also great not only as a travel guide but for cultural insight into 11 popular world cuisines available in cities around the world. A great and informative read. 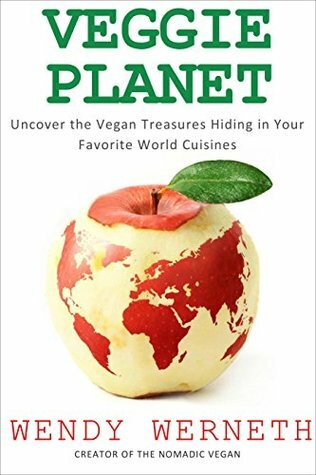 With the kind of insight only a true world traveller and polyglot can provide, Veggie Planet is a one-of-a-kind vegan resource. I'm keeping it on my kindle as my go-to guide for vegan dining out in my home town and for finding vegan dishes at restaurants and street food around the world. Wendy Werneth - Wendy Werneth, a.k.a The Nomadic Vegan, has lived, studied, worked and traveled in 100 countries (and counting!). She became vegan in 2014, and initially she was worried that her new lifestyle was going to ruin her travels. She was shocked to discover that being vegan actually made travel not worse, but better! Eager to share the joys of vegan travel with others, she now writes vegan travel guides for vegans, aspiring vegans and vegcurious travelers who want to travel the world and eat delicious food without compromising their values. In her books and on her website, The Nomadic Vegan, Wendy shows her readers that they can be vegan anywhere and spread compassion everywhere. She scours the globe for naturally vegan local specialties, which she finds in even the most unlikely places, from France to Argentina.